Niacin – most of us know it as a strip of prescription drug stacked on the shelf of our nearest pharmacy. But hey, there’s more to it. In fact, it is vital to your DNA and cellular health. Yes. Keep reading to understand how. What Are The Symptoms Of Niacin Deficiency? What Are The Benefits Of Niacin? What Are The Foods Rich In Niacin? Any Side Effects Of Niacin? Also called vitamin B3, this nutrient is water-soluble and found in several common foods like meat, tuna fish, seeds, mushrooms, etc. It is a part of the B-complex vitamins, which also include thiamine (vitamin B1), riboflavin (vitamin B2), and others. Niacin is the medical name of vitamin B3 and comes in 3 forms – nicotinic acid, niacinamide (also called nicotinamide), and inositol hexaniacinate. It is an important vitamin and benefits one in several ways – right from protecting the heart and improving metabolism to enhancing brain function and aiding diabetes treatment (1). Nicotinic acid works as a supplement and is used to treat high blood cholesterol and heart disease. Niacinamide can help treat type 1 diabetes, certain skin conditions, and schizophrenia (it doesn’t lower cholesterol, though). Hence, certain forms of niacin offer you certain benefits. We strongly recommend you consult your doctor to understand which is which. Well, the benefits are so many. But before we speak about them, we must first know how niacin works. In simple terms, niacin helps the enzymes do their job. Specifically speaking, niacin is a major component of NAP and NADP, which are two coenzymes involved in cellular metabolism. Niacin also prepares and repairs DNA and even works as an antioxidant. But hey, how will you know if you are getting enough niacin? The next section can help you understand. This deficiency occurs not only when you don’t get enough niacin but also when your body can’t absorb tryptophan, its amino acid precursor. Consuming adequate niacin not only prevents these symptoms, but, more importantly, offers certain significant benefits. 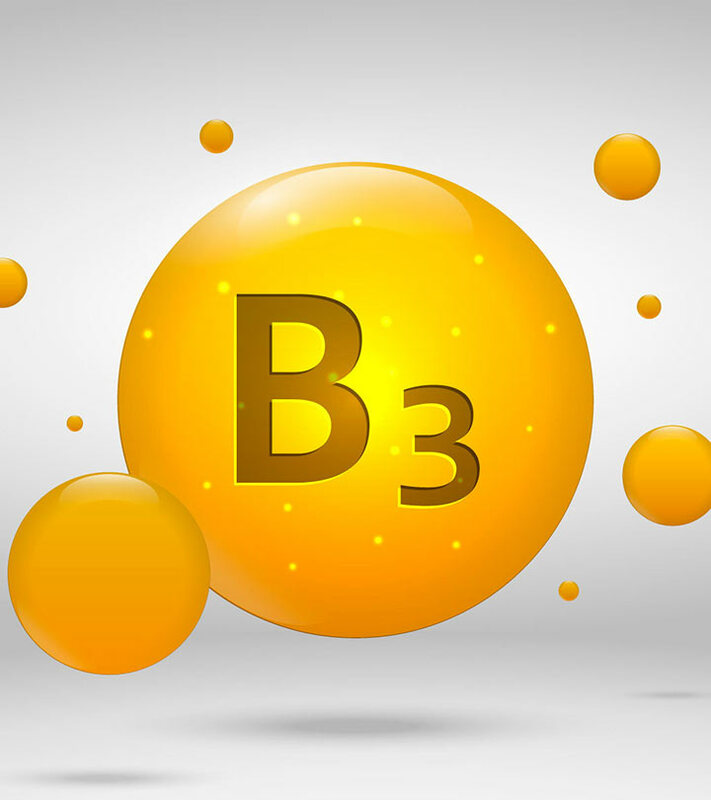 What Are The Benefits Of Niacin (Vitamin B3)? Though certain purported benefits of niacin have conflicting evidence, this vitamin does improve skin and brain health, along with improving digestion and arthritis symptoms. Niacin is often used to improve the levels of good cholesterol, which, in turn, reduces the bad cholesterol – ultimately strengthening the heart (2). Niacin works by blocking the way your liver makes cholesterol. 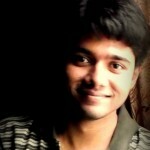 But hold on – niacin seems to work only in those people who are already on cholesterol medications. And sources also state that it can often cause uncomfortable and dangerous side effects. Hence, make sure you talk to your doctor before taking niacin for your heart as there is conflicting evidence in this regard. This could be true with type 1 diabetes, where the immune system mistakenly attacks the cells in the pancreas that produce insulin. Niacinamide might protect these cells for a while. But we need more research to understand if niacin can help in the long run (3). High dose of niacin also had cut the risk of type 1 diabetes in children who were at risk, but that was the result of just one preliminary research. Niacin is known to boost the water content in the skin – and this can be achieved by topically applying nicotinamide cream. The cream was also found to help treat acne. Niacin also has beneficial effects for rosacea, which is a skin condition that causes red facial skin, flushing, pustules, and red bumps. Niacin is also known to have a beneficial effect on skin cancer. Studies have shown that it can prevent premalignant cells from becoming malignant. And talking about anti-aging, niacin does play its part. One study showed that topical niacinamide helped reduce fine lines and wrinkles and other issues with skin elasticity concerned with aging. Some reports say that niacin helps improve the health of the hair follicles. Niacin is so important to the brain that brain fog and certain other psychiatric symptoms have been associated with its deficiency (4). 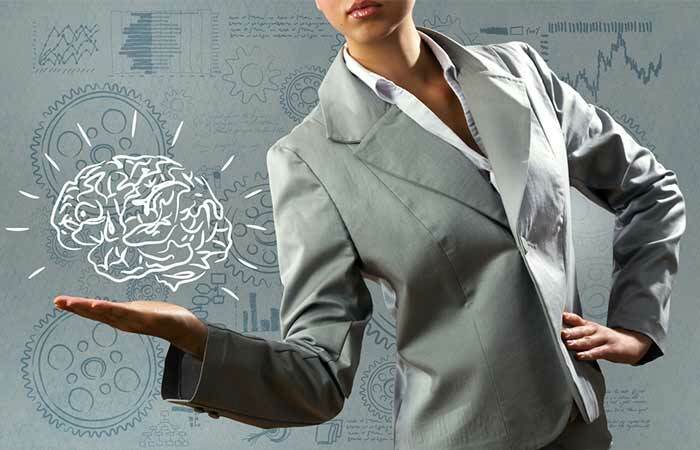 Also, research has shown that some forms of schizophrenia can be treated with niacin – as the vitamin helps undo the damage done to the brain (5). Niacin can also prevent memory loss in the elderly and aid in depression treatment. It can keep the brain healthy in the case of Alzheimer’s. However, the results have been mixed. According to the Arthritis Foundation, niacinamide might improve osteoarthritis by suppressing inflammation (6). However, the information here is limited, and we advise you to talk to your doctor. Remember we spoke of this? Pellagra is a condition that occurs due to insufficient niacin (or tryptophan) in the diet. This disease is most common in those parts of the world where people consume a lot of corn (7). It affects the skin, the digestive system, and the brain. Since pellagra is caused by niacin deficiency, it is but obvious that supplementing niacin can help treat the condition. Studies have concluded that niacin can improve men’s ability to maintain an erection if they are suffering from erectile dysfunction. Since it is just a vitamin, experts feel using niacin is a simple and safe way to treat erectile dysfunction and impotence (8). Also, erectile dysfunction might be caused by inflammation of the blood vessels. The anti-inflammatory properties of niacin come into the picture here. But in case you already are on medication for treating erectile dysfunction, talk to your doctor before you take niacin. This is because the former might often lower blood pressure levels, and so does niacin. Both, in combination, might lower your blood pressure way too much. 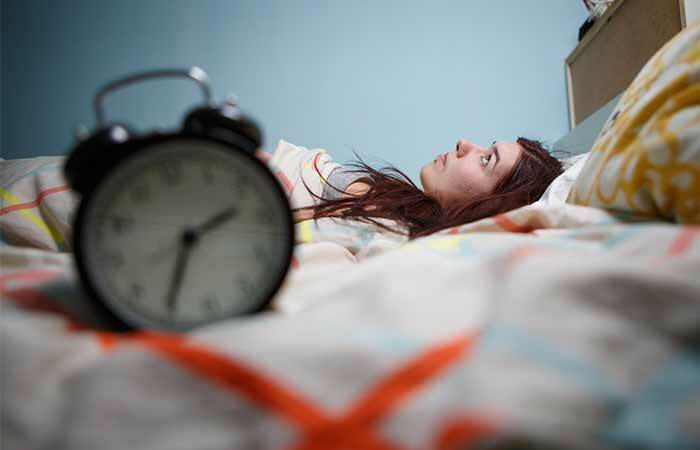 Though we have limited evidence, certain studies suggest that niacin might increase REM sleep (Rapid Eye Movement, which is the deep state of sleep). Photodermatitis, a condition related to sun sensitivity, is known to be caused due to a deficiency of niacin. Pellagra, the disease caused by insufficient niacin, is also linked to sun sensitivity (9). Not only that, niacin has been identified to have preventive effects against skin cancer, a disease whose likelihood increases with sun sensitivity (10). We have very little research on this. One report says niacin might help prevent motion sickness (11). But please consult your doctor in this regard. How niacin helps with detoxification is quite fascinating. It ruptures the fat cells storing toxins, and this releases the stored toxins and ultimately eliminates them. This phenomenon is called lipolysis. Niacin is quite important to the body when it comes to generating energy. Without the vitamin, your body simply cannot convert the protein, carbs, and fat into usable energy. Niacin is one of the B vitamins that help you acquire energy from the food you eat. It also helps in the formation of red blood cells. Roundworms fed with niacin food supplements lived longer, as per one study. The study says that niacin tricks the body into believing that it is exercising, even though it isn’t. In fact, such compounds are called exercise mimetics – of which niacin is one (12). The metabolic pathway initiated by niacin in roundworms is similar to that of higher organisms, and this can include humans as well. Niacin plays a role in the breakdown of carbohydrates, fats, and alcohol – which is an important function of the digestive tract. Also, some of the symptoms of niacin deficiency include abdominal discomfort and constipation. We saw the benefits. But this doesn’t mean you start loading yourself up with niacin. There is a limit to whatever you take. 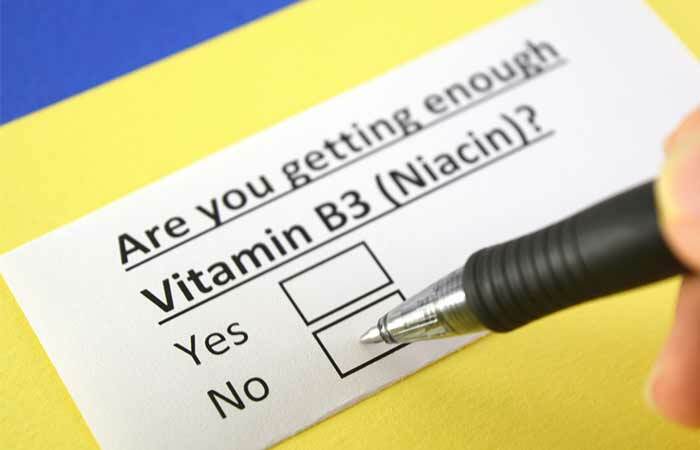 What Is The Recommended Daily Allowance Of Niacin (Vitamin B3)? The following table will give you the information. The upper limit of niacin for adults of all ages is 35 milligrams daily. That’s about the dosage. But how do you ensure you get enough niacin daily? 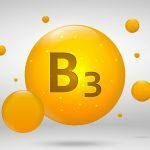 What Are The Foods Rich In Niacin (Vitamin B3)? Turkey Breast: 1 turkey breast contains 101 mg of niacin (over 100% of daily value). Peanuts: 1 cup of peanuts contains 21.9 mg (over 100% DV). Beef Liver: 1 slice of beef liver contains 11.9 mg (60% DV). Tuna: 3 oz of tuna contains 11.3 mg (56% DV). Chicken Breast: 3 oz of chicken breast contains 8.9 mg (44% DV). Grass-Fed Beef: 3 oz of grass-fed beef contains 7.6 mg (36% DV). Mushrooms: 1 cup of mushrooms contains 7.6 mg (34% DV). Sunflower Seeds: 1 cup of sunflower seeds contains 3.8 mg (19% DV). Green Peas: 1 cup of green peas contains 3 mg (15% DV). Avocado: 1 whole avocado contains 3.5 mg (17% DV). Practically speaking, you don’t need to – if you already are getting enough of it through your regular diet. But in case you are not, you can supplement. Niacin supplements are usually recommended for people who have high cholesterol and are at a heart disease risk and can’t take statins. Supplemental forms usually have much higher doses – and large amounts can have side effects. Hence, talk to your doctor before you use supplements. This is the most common (and often immediate) side effect of niacin consumption. It happens when one takes more than 100 mg of niacin at a time. It is harmless, though. The flush starts on your face and might travel to your chest and arms, and eventually disappears in 30 minutes to two hours. Niacin can aggravate allergies because it releases histamine, which is a chemical responsible for allergies. Large amounts of niacin can cause irregular heartbeat. Niacin might increase blood sugar. Don’t take niacin if you have low blood pressure. If you are on blood pressure medication, talk to your doctor before taking niacin. Niacin can make things worse for individuals with kidney or liver disease and those with stomach ulcers. So, it is recommended to avoid its intake if you are suffering from any of these. Niacin is safe for both pregnant and breastfeeding women when taken in the recommended amounts. Don’t exceed the limits. Niacin is beneficial, but certain pieces of the evidence are conflicting. So, we suggest you talk to your doctor before taking niacin for any specific health condition. Do tell us how this post has helped you. Leave a comment below. “Niacin”. US National Library of Medicine. “Niacin can boost “good” cholesterol”. Mayo Clinic. “Vitamin B3 (Niacin)”. University of Maryland Medical Center. “Case report of mental disorder induced by niacin deficiency”. Anning Hospital, China. “Niacin-respondent subset of…”. Liaocheng People’s Hospital, China. “A daily dose of niacin may improve…”. The Independent. “Photodermatitis”. University of Maryland Medical Center. “NAD in skin: therapeutic…”. The University of Arizona, USA. “Niacin, the fountain of youth”. ScienceDaily.